Fujimi is a Japanese company that produces model cars, military aircraft, battleships and various train plastic model kits. Their kits come in various scales, but this beauty comes in 1/150 (N Scale). 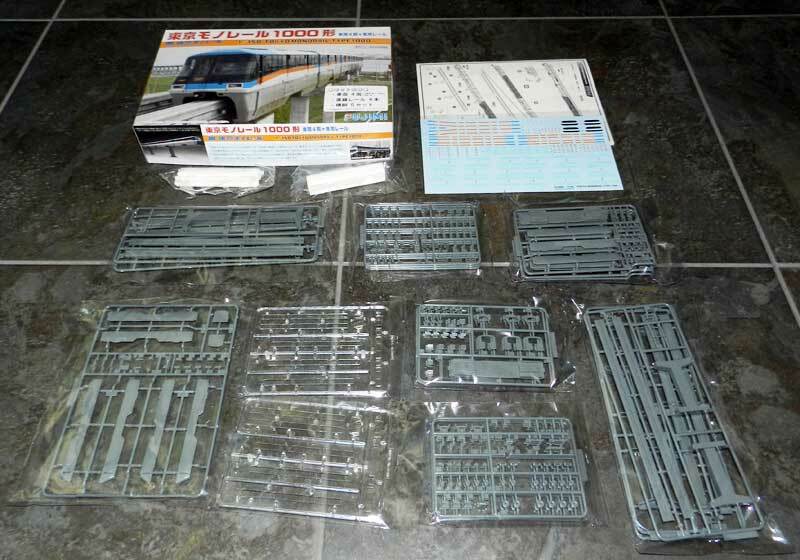 Fujimi Tokyo Monorail Type 1000 kits feature 6-car sets, 4-car sets, add-on car kits and add-on track packets. Here's an open 4-car set, and you can see that model builders are in for a bit of work! Here	are	the first 13 of the 24 steps to building the four-car set and track. Instructions are in Japanese, but the illustrations are well-designed for all. Demonstrating the detail of the models, bogies are included even though they are mostly hidden while the trains rest on the track. The same goes for interiors which feature passenger seats and driver cabin details. Spend enough time meticulously building one of these sets, or a combination of sets, and you can have a fabulous monorail display like this. Fujimi Type 1000 models are ideal for architectural models showing how monorail can be introduced to various urban and settings. As we go to press with this page (June 27, 2013), ebay, Amazon and Hobby Search (external link) have sets available for sale. 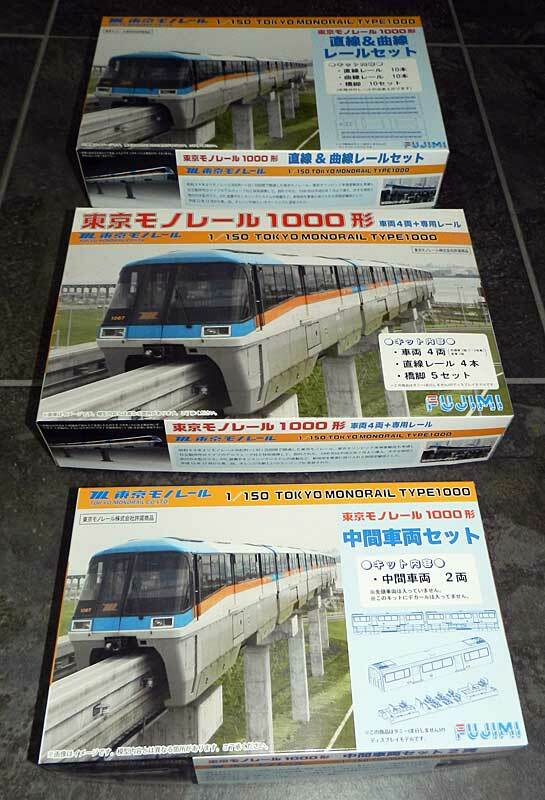 Searching 'Fujimi Monorail' online may provide additional sources as well. Thank you Fujimi, outstanding work! 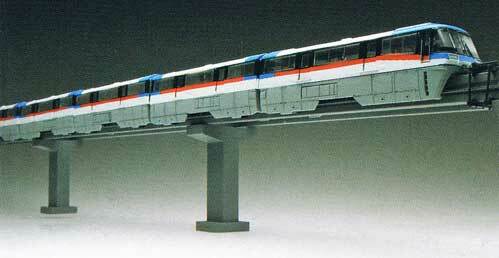 For more information on the monorail this model is based on, visit The Monorail Society Tokyo Monorail page.